Sammy didn’t really know what she wanted to pursue when she left school at 18. She just knew she loved playing sports and the gym, so it felt natural to start working within the Health and Fitness industry. 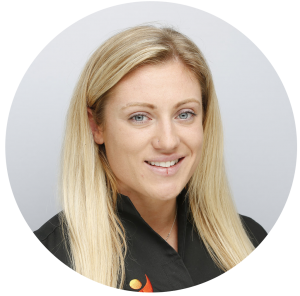 For the last 10 years Sammy has worked in Health Clubs starting on reception and progressing onto the gym floor then Personal Training. She loves seeing the journey people go through mentally and Physically as they Start to change old habits and adapt to a healthier, more beneficial way of living. The Progression made is incredible to watch. This profession also allowed her to work and travel which she has been doing the last 7 years, mainly based in Australia.